FlySmart 2.0 is a lightweight multi-rotor UAV that is simple to use in either manual or automatic mode and which enables operational costs to be kept to a minimum. It is fully foldable and has a high quality carbon frame that can support either a 20Mpx camera or a compact sensor. FlySmart 2.0 provides an increased flight time over the previous FlySmart as well as a reduction in maintenance needs. FlySmart 2.0 only needs a single operator and can automatically perform pre-set missions which strictly follow a flight plan until landing, although the pilot can intervene at any time. In total there are three flight modes, manual, automatic and GPS, with the manual mode being aided by automatic stabilization controls that ensure both the quality and the safety of the flight. 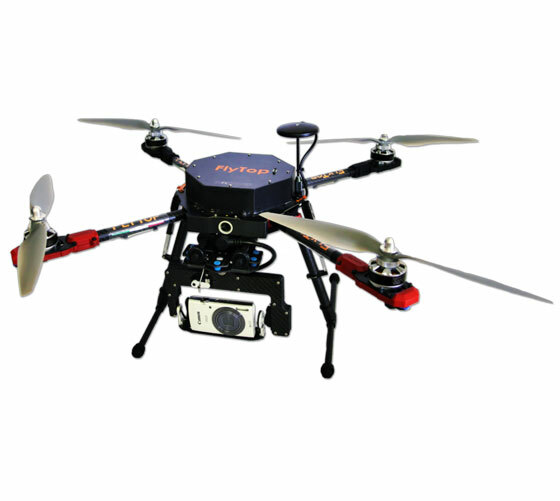 to discover more about this product, please visit FlySmart 2.0 page on FlyTop website.